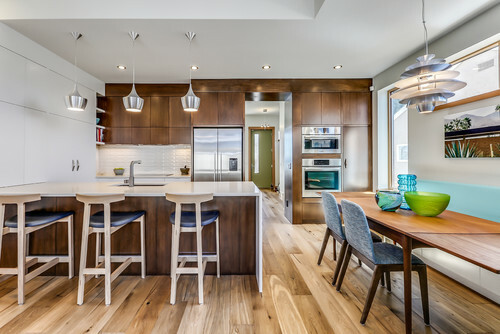 The design team at Lighthouse Studios Residential Design — based in Calgary, where freezing weather is common seven months of the year — decided to build a duplex with a LEED Platinum certification, the environmental program’s highest rating for a residential home. 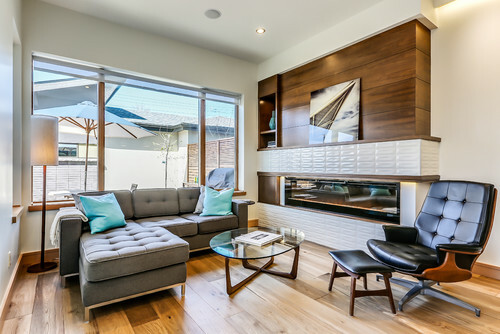 To create such a home in a cold climate, these builders beefed up the insulation, used high-performance doors and windows, and maximized airflow for optimal heating and cooling comfort. 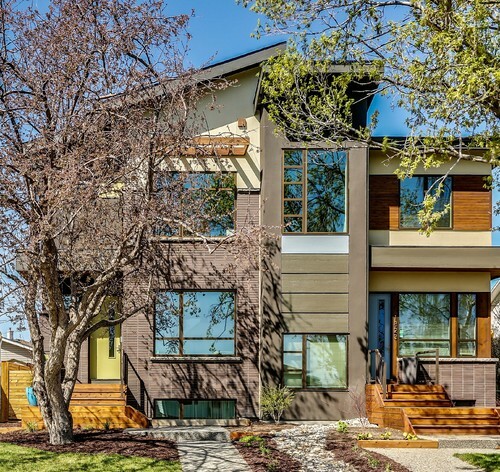 The homes, which have both sold, offer many lessons for creating energy-efficient dwellings in cold climates. 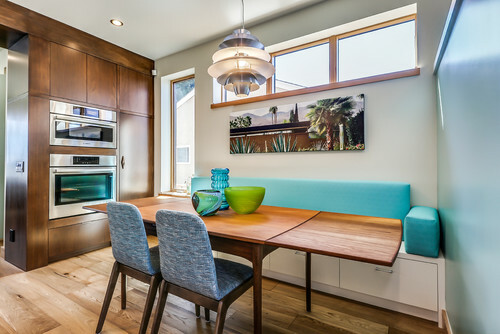 Learn how the builders did it, and get some ideas for your own green home. 1. Pump up the insulation. 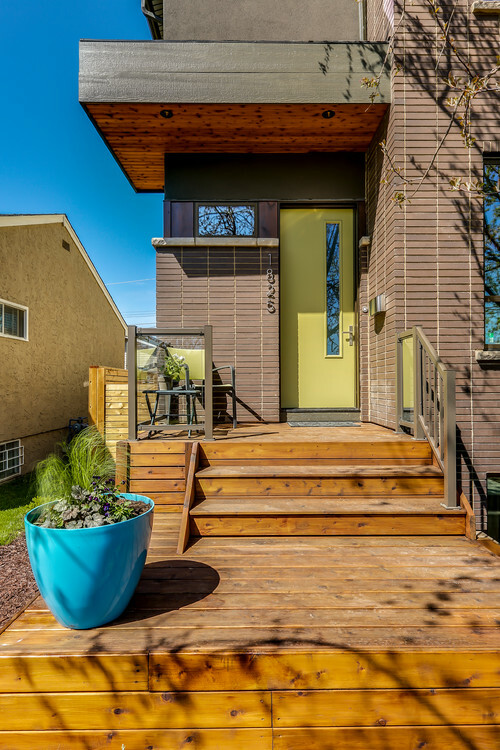 Lighthouse Studios responded to Calgary’s long, hard winters by exceeding the code requirement for insulating the lower level, using materials such as rigid insulation and crushed gravel. From the basement to the attic, Lighthouse took advantage of many other materials with a high R-value, such as spray foam, to slow heat loss in the winter and heat gain in the summer. 2. Use the local climate. 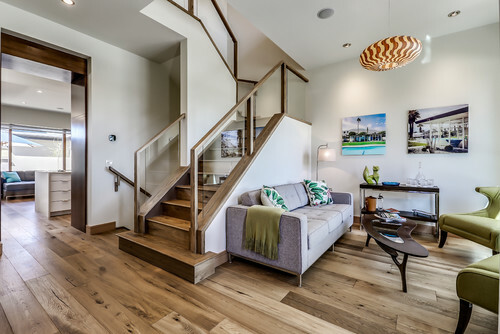 Calgary’s mild summers allowed Lighthouse Studios to skip the air conditioning, relying instead on cross breezes from open windows and floor plans that maximize airflow when needed. 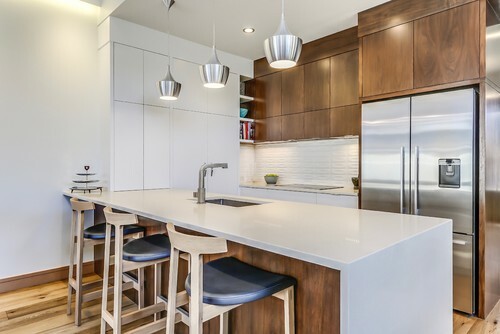 “People just think of insulation keeping heat in, but it actually keeps the cool [air] in as well,” says Barb Kelsall, LEED green associate of Lighthouse Studios. 3. Install high-performance windows and doors. 4. Reduce energy costs with efficient appliances. 6. Keep a sharp eye on construction. Testing the integrity of the wall construction before as well as after the drywall was installed showed where small pockets of air leaked in and out of the building. 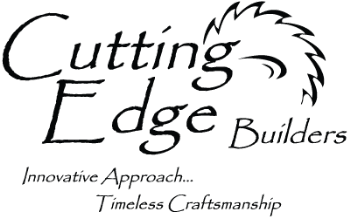 That information gave the builder an opportunity to make adjustments where needed. 7. Maximize control of airflow. A home with a tight seal will lack fresh air unless a system is installed to push out the stale air. The builders installed a heat recovery ventilator that circulates fresh air constantly. 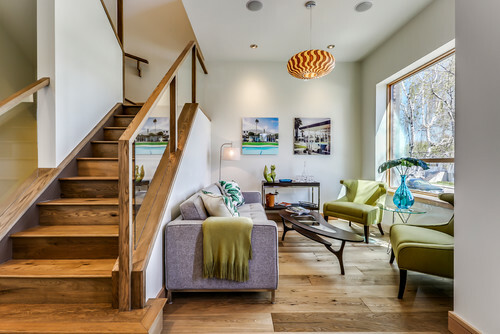 Keeping the air flowing also results in greater temperature and water vapor control, making the home a healthier and more comfortable environment to live in. 8. Install low-flow, high-performance fixtures. 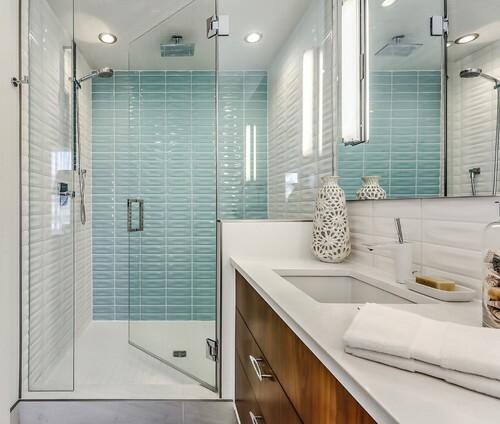 Low-flow shower heads and faucets and dual-flush toilets lower water bills. A tankless on-demand water heater efficiently delivers a ready supply of hot water without using a storage tank. 9. Don’t forget the home’s exterior. For potential homebuyers who want to take energy efficiency to the next level, Lighthouse Studios made the roof of the south unit solar-panel ready. 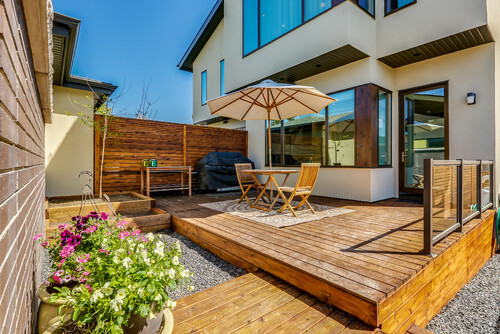 Tough, drought-tolerant plants, turf and permeable decks work year-round in Calgary’s extreme weather, while water-efficient, low-impact landscaping thrives even with minimal rainfall. Rain barrels and rain gardens collect water for irrigation. Aesthetics Count While the energy and green component of the home was one consideration, these builders naturally wanted their project to sell. (It did.) Here are some of the things they kept in mind when they were building the duplex and putting it on the market. Perhaps they will be worth noting if you plan to build your own spec home, whether you seek a green footprint or not. 10. 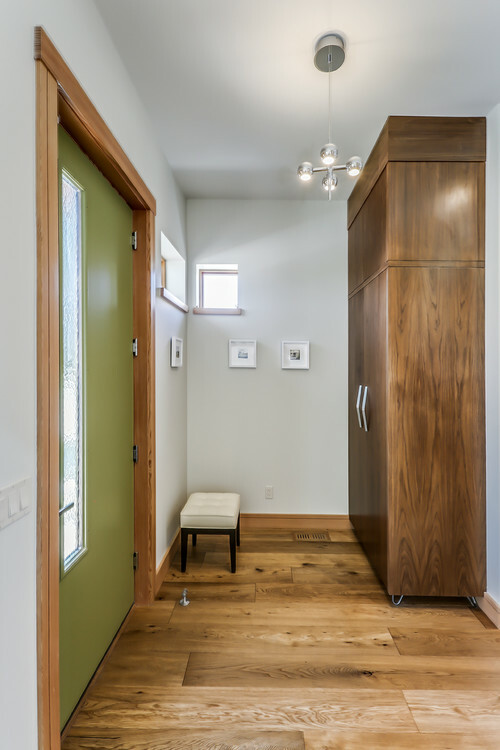 Make the floor plan open and inviting. In its quest to build a green home in a cold climate, Lighthouse Studios didn’t sacrifice aesthetics for efficiency. 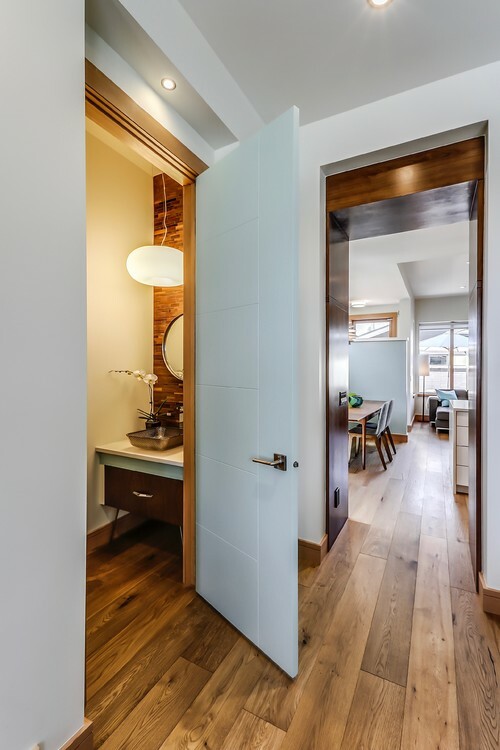 The designers made the duplex bright, spacious, open and sunny. “This is what the first impression is,” Kelsall says. 11. Install long-lasting, sustainable materials.